Thank you to everyone who attended the Baltimore Auxiliary Board event, Cook-off for a Cause. The iron-chef style cook-off had a secret ingredient, butternut squash, which lead to many great tasting dishes. But, we weren’t just impressed by the cooking. The teamwork during the event was also spectacular! What a great display of Girls in the Game values! Each team had a unique combination of chefs, many of whom had just met. 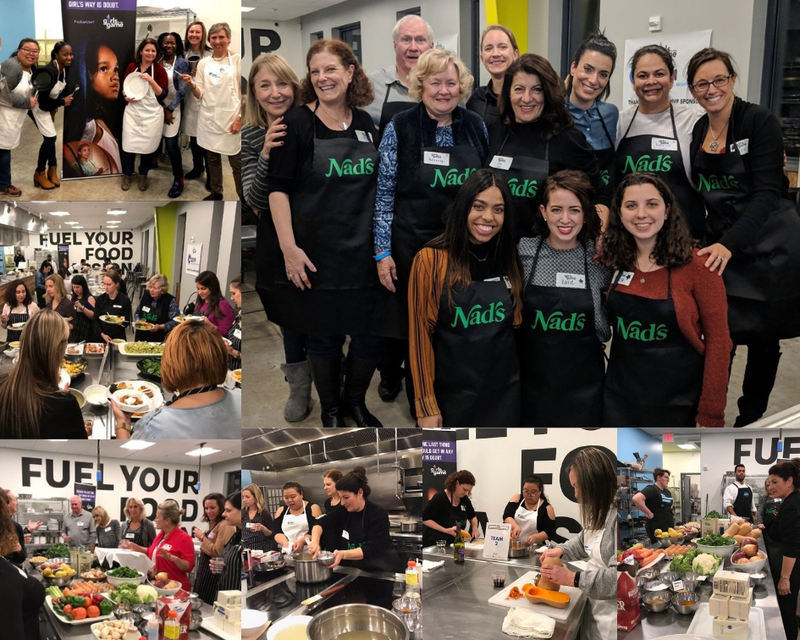 Nonetheless, when it was time to plan, everyone leaned in together to brainstorm ideas, provide encouragement, and to challenge teammates to create the best possible dishes. When it came time to taste, I enjoyed the flavors of each unique dish – the spicy and savory alongside the sweet and sour. Everyone brought something different to the table, and together, each team made something whole and wonderful. Many dishes were born from a few good ideas and a bit of courage. I was thrilled to hear phrases such as “let’s give it a shot!” and “that sounds like a good idea” throughout the night. We can’t be sure that our endeavors are going to pan out, but we will never know if we don’t try. We’d also like to thank our MVP Sponsors Constellation, DSM and Sandy Spring Bank!